SSOP to DIP Adapter 20-Pin break out board from Sparkfun. 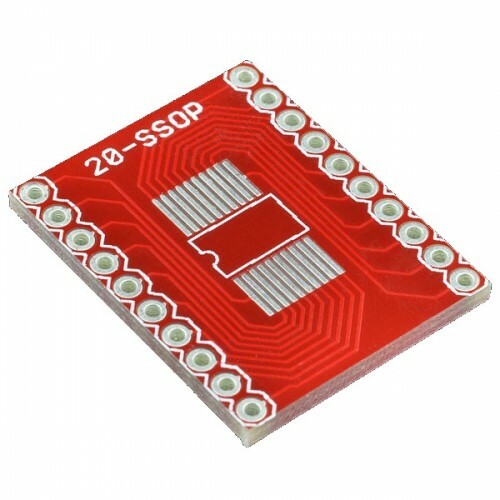 Designed to be used with 0.65mm pitch devices but can also be used with 0.025" pitch devices (comes out to ~0.635mm). We've made these 0.635mm devices fit just fine. Can be used with packages from 0.200" (5mm) up to 0.450" (11.4mm) in width. 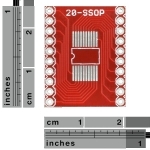 Breaks out SSOP pins to standard .6" (600mil) DIP width to be used in any DIP socket or bread board.